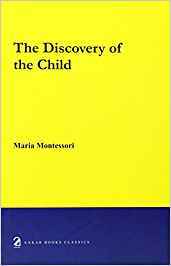 In ‘The Discovery of the Child‘, Maria Montessori describes the nature of a child and introduces her method of education. She believes that once the main principles of her method are applied it will become easier for the practitioners to use the method. Maria Montessori challenges the traditional classroom and instead introduces a peaceful classroom where teachers are not mainly focused on maintaining a discipline, but rather allow children to interact with their environment and use Montessori materials as the means to learn. A child learns form the Montessori environment, which includes the teacher who becomes a facilitator of the child’s learning.